A few weeks ago, we wrote a blog answering the question “Why can’t I enter my transaction to a project?”, covering transactions settings in Project Accounting. But, we want to take it to the basics. So, you have decided to ahead an start using Project Accounting in Sage 200… great! You can now keep track of all your revenue and costs relating to specific projects. 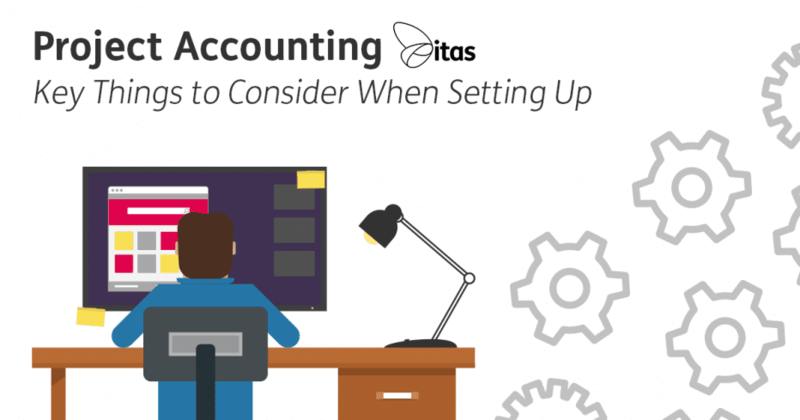 If you have decided to go ahead and use Project Accounting, there are a few key things you should be to considering in the setup stages. Automatically generated codes – These are sequential numbers that are generated by Sage, for example 0000000051. Manually entered codes – These can be a mixture of letters and numbers, so for one off projects you could have them specific to a customer e.g. kjones001 for customer K Jones. Alternatively, you could use segmented codes to group similar projects e.g. CONSULT-16-001 for first consulting project of 2016. 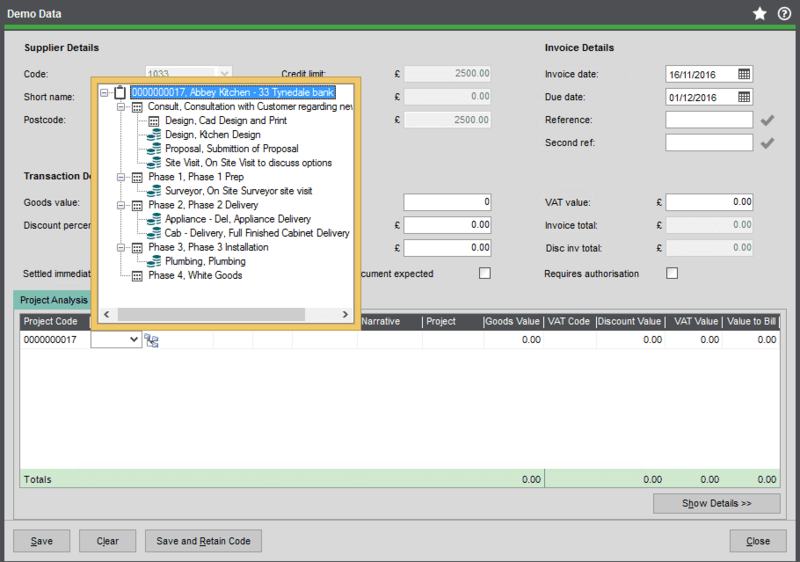 Existing project codes – If you have project codes already, then the structure of them will determine whether you use manual or automated codes. If you use single number increments, then you can use automatic codes and choose the correct starting point. If you existing and alphanumeric, you will need to use manual codes. When deciding on your Levels, Groups and Items, it is important to keep in mind what level you want to report on. Your project items are the lowest level in your structure. This is ultimately what you will assign your costs and revenue against. Therefore, it is advisable to set your Items as the lowest level of detail you would like to report on. For example, if you would like to sign costs to and report on individual employees, you would need to set your Items as Employees. Your groups are used to group together to related items. This allows you to report on higher levels of information, so in the above example you may want to look at Expenses as a whole rather than each Employee’s expenses. Note: You can create Groups, within other Groups too! Finally, your Projects. You may wish to include projects within a project. For example, within the ‘Build a House’ Project you may have another Project ‘Substructure’ which contains its own sets of groups and project items. It is important that you always keep in mind, at what level you would like to track the Revenue and Costs associated. As this will help you decide which Groups & Items you need. There are two methods to choose from when creating your structure, Category Method and Activity Method. Category Method – This approach is to organize the structure according to similar cost/revenue category areas and activities. This method is best suited to businesses where the expenses are mostly internal. It is much less suited to those that need to track costs/revenues by phases or activities. Activity Method – This approach is more focused around Phases of a Project. So, creating groups that represent phases and activities. This method allows you to organize your projects into a chronological sequence of tasks. This is good for jobs that are lengthy and require groupings of more than one activity. So, there you have my three main things to consider when setting up your Project Accounting in Sage 200. The most important thing to remember, is what you want to get out of the process and what it is you want to track. If you keep this in mind when building your structure, then you are setting yourself up to gain the full potential of Project Accounting.